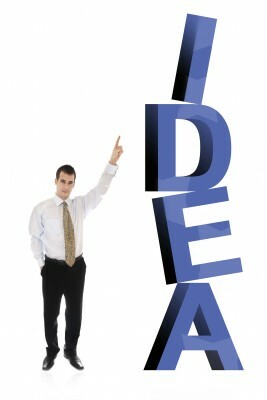 When starting a business, you must first identify a profitable idea. The operative word here being “profitable.” That’s what businesses are meant to do, right? Create profit! Seems simple enough, but this step is frequently underestimated… or even flat-out ignored. Because of this, most businesses are doomed right from the beginning. Having said that, a profitable idea is not enough. Before starting a business, run it by these five tests. If it passes, go for it. If not, modify the idea so that it does pass these five tests, or come up with a new idea altogether. Your success and financial freedom depends on it. Test #1 – Is there a need for your product or service? A business that satisfies a need thrives. An “urgent” need or an irrational passion is what you should aim for, but a need can be a point of pain, a gap in service, an unsolved problem or an emotional disconnect. Oh, the type of need to which I’m referencing is a need in the market place, as opposed to your own personal needs. The market doesn’t care about what you need. The market only cares about what your business can do for them. When starting a business, it’s extremely easy to forget this. Don’t. Test #2 – Is the starting of your business an event, or a process? If your business can be up and running in a day, the barrier to entry is too low… of which results in competition being too high. High competition kills margins and profit. Starting a business, a successful business, is a process. Typically, the higher the barrier to entry, the lower the competition you will encounter. Low competition = more profit. If “everyone is doing it,” you shouldn’t. Test #3 – Who is in control? Always be in control of your business, and that includes everything. Refrain from taking on partners and investors as long as you can, and even when you reach that point where you can’t seem to go any further on your own… hold out a little longer and push through. Strive to control your organization, your products, your pricing, your business model and your operational choices. If you don’t control your business, somebody else will. And at that point, it’s no longer a business for you. It’s a job. Test #4 – How many people can you reach? If you want to make millions, you must be able to reach millions. The growth of your business will be limited to your reach. The further your reach, the greater the potential for wealth. It’s okay to build locally when starting a business, but always be thinking globally. 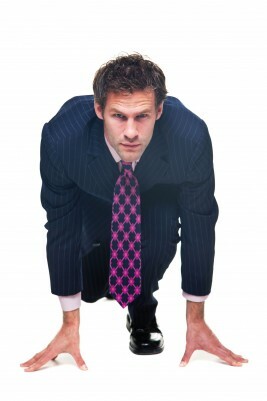 Test #5 – Will your business forever require your presence? If your business will never run without you, it’s not a business. It’s a job. From the very beginning of starting a business, you must be system oriented. Systems allow you to work on your business instead of working in your business. If your idea passed the five tests above, awesome! Go for it! I have high hopes for you. If not, use the list of business ideas below to inspire a revision of your current idea or to come up with a new idea for starting a business entirely. Before you even look at the list of ideas below, grab a pen and a piece of paper. Let’s identify your “top 5” skills, strengths and interests. If starting a business is a serious venture for you, do this exercise. With all of the above in mind, read the list of ideas below. When you come across an idea that catches your attention, ask yourself “What type of business could I create around this idea that would incorporate my skills, strengths and interests while also passing the five tests above?” When you can answer this question, starting a business is your next step! Newer PostCreating Wealth Fast or Slow – Which One is the Scam?